Fluid is a London based architectural and urban design practice specialising in participatory processes and place-making. 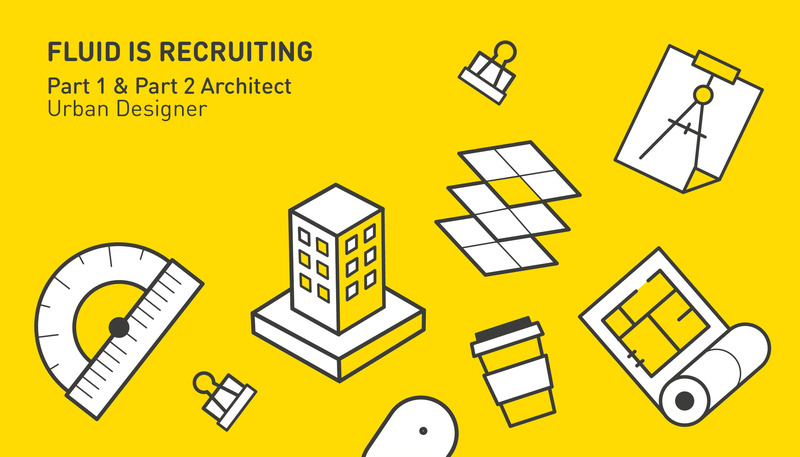 We are looking for talented and highly motivated Part I and Part II architectural assistants with experience of working in an architectural practice. The successful candidate will have an interest in urbanism and architecture and will work as part of a collaborative team on the delivery of large-scale housing-led masterplans, urban design structures and estate regeneration. Please forward your cover letter, CV and portfolio to recruitment@fluidoffice.com. Strictly no phone calls. Strictly no agencies. We will contact only successful candidates with relevant experience. Fluid is an equal opportunities employer.